RUSH: I got a phone call. Oh, gosh, I don’t know when. It was during the football game last night, so 6 or 6:30. I looked at the number; didn’t recognize the number. It was a local number here. I didn’t recognize it, and so I didn’t accept the call, because talking on the phone is a hearing challenge. And within seconds I got a message from whoever it was that had called, It was just a shocking thing, so I called back, and it was from one of Don Ohlmeyer’s sons. Don Ohlmeyer had passed away at 5:30 Pacific Time yesterday afternoon. You know, Ohlmeyer was a beast in the television business. He was with ABC during the inception of Monday Night Football. 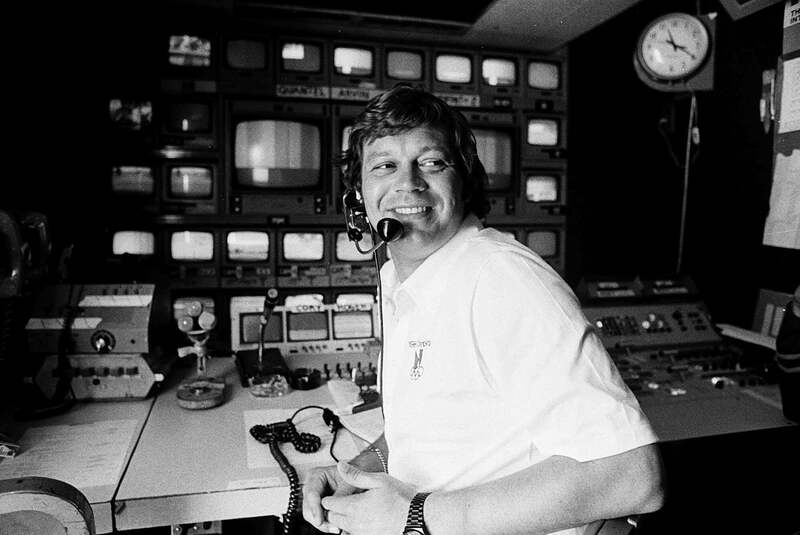 And though he didn’t make Howard Cosell because nobody made Howard Cosell, Ohlmeyer was instrumental in letting Cosell be Cosell. For those of you that are too young to know, Howard Cosell… For those of us in broadcasting, the thing about Howard Cosell was that he was one of the first high-profile TV personalities that wasn’t technically in news who had freedom to say, do what he wanted to do. Management was unable to clock him, so to speak, and he became the envy of many people in media for this. Ohlmeyer was instrumental in protecting Cosell from efforts to tame him or moderate him or whatever. And he then, after leaving ABC after many years there, went to NBC and became the president of NBC’s prime time division West Coast. And it was under his leadership that they came up with this killer lineup of comedies and shows that just owned, for example, Thursday nights. It had Seinfeld and just any number of other shows that he, after seeing, purchased and arranged for them to air on NBC. And he had Ohlmeyer Communications. It was Don Ohlmeyer who invented the Skins Game, golf, that always aired on Thanksgiving weekend. Four or five professionals would play in a tournament over the weekend, call it the Skins Game, and now everybody plays “Skins” in golf. I never knew Don Ohlmeyer during all this. I knew of him, I knew his reputation, but I never knew him during all this. When ABC/ESPN lost the rights to Monday Night Football to NBC, they hired Ohlmeyer to produce the first year, to executive produce… Well, not executive. He was actually in the truck and produced the first year, and they were looking for somebody to pair with Al Michaels. So I offered myself. I thought, “This is something I would love to do, and I would be great at it,” and I had Cosell in my mind. “I would love to do this.” So I’m on the air making comments about how much I would love to do this, and at the time there was a man named Howard Katz who’s now with the NFL, who actually is the chief of the unit in the NFL that does the schedule every year. 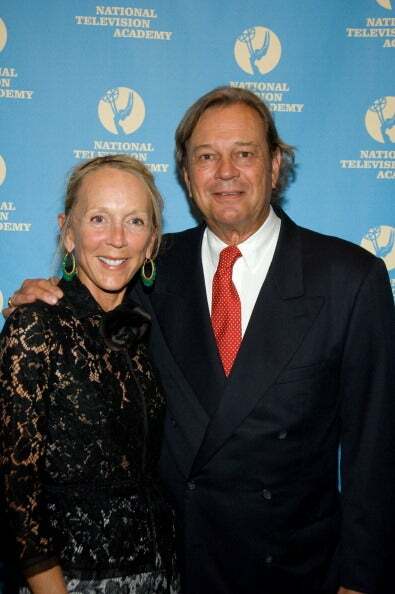 But at the time Howard Katz was an NBC Sports executive. And he called Ohlmeyer and said, “I think this Limbaugh guy is serious. Why don’t you talk to him?” So Ohlmeyer was in Fort Lauderdale for a friend’s wedding and called and said, “Why don’t you come down; let’s talk about this.” I never thought this would happen. I mean, I’m just bloviating about it on the air, but I never thought it would… I was serious in wanting to do it, but I never thought it would happen. I never made a call to anybody at NBC saying I was serious. I just did it all on the air. So I drove down. I’m listening to Mambo No. 5 by Lou Bega all the way down to Fort Lauderdale. It’s about… From my house it was about an hour, and I was gonna play golf at Pine Tree on my way back from the meeting with Ohlmeyer, and I got down to the hotel where he was staying and you do it in the lobby, and his partner L.J. approached me and said, “Don will be down in a moment.” I said, “Wow, this is cool. This is big.” So Ohlmeyer came down and we had a chat about it; talked about it. He said, “Look, why don’t you come out; let’s do an audition.” I said, “Really?” “Yeah. You come out and we’ll get a tape. I’m not gonna tell you which… I will tell you the game. I’ll tell you the game. We’ll get a tape.” It was the Music City Miracle game. It was the Titans and Buffalo Bills. He said, “We’ll replay the tape of that game, and you and Al can pretend it’s live, and we’ll just see how you do.” And I said, “Really?” He said, “Yeah.” So I went out and did that. He picked me up at the airport when I arrived. I think I flew into Burbank. He picked me up. Now, I didn’t learn a lot about Ohlmeyer in the Fort Lauderdale meeting other than I liked him, but it wasn’t an interview or anything like that. So I’m thinking, “NBC West Coast chairman, ABC. This guy’s got to be a typical media liberal. Just has to.” So I figure my chances here are nil, but I’m gonna have fun with it. So we’re in the car, and we’re driving to the hotel. He’s gonna drop me off at the hotel and have dinner, and the next day do the audition. And on the way to the hotel, he starts ripping the media just like I do, and I thought, “I’m being set up here. He’s settin’ me up. I’m supposed to be say, ‘Yeah, you’re right,’ and I’m supposed to launch,” ’cause I figured he’s gotta be part of the liberal leftist media establishment. So I was standoff. I was very cool in the car and I didn’t go, “Yeah, man, you’re right,” and offer my own examples. None of that. I just nodded and I said, “Yeah, I can’t argue with that. Can’t argue.” So he dropped me off, we had dinner that night, then next day did the audition, and it went well. It went well, and he was shocked and Al Michaels was pleasantly surprised and all that. I knew Al, but I’d never met Ohlmeyer. Anyway, that’s the year they chose Dennis Miller. But the point is through all of this, Don Ohlmeyer became a really, really close friend. And he was a really, really good guy. Do you remember, those of you been here a long time, I’ve told the story of how I was with friends at a golf club down in the desert in Palm Springs, Indian Wells? A famous media person that you would all know joined us for dinner and my friend just lacerated this guy on the subject of illegal immigration? It was Ohlmeyer. And I’m not gonna tell you who the famous media guest was, but you would know who it is. I never… I also never identified Ohlmeyer, always protected his privacy. But Ohlmeyer was one of the funniest… He and Roger Ailes were some of the most naturally funny people. But when Don got going on this stuff (laughing), it was just marvelous to sit back and listen to it. And he had this poor TV star backwards and forwards and pretzeled inside out. The TV star was reduced to, “Well, look, if poor people around the world would have come to my country and improve their lot in life, I’m not going to say no!” And Don said, “Well, what happens if the guy jumps your back fence and wants to date your daughter?” “Well, that would never happen, and I’m not…” Anyway, we played a lot of golf together, and we had a lot of good times. So I sent him that one. He was a great golfer. He hit the ball straight. By that I mean wherever it was aimed is where it went. The envy of everybody. He didn’t bomb it, it didn’t go a long way, but if the guy didn’t break 80, it was a bad day. So just a sad, sad turn of events. And, you know, with Roger Ailes passing away, now Vince Flynn and his movie, screening that this afternoon. And all this happening within the time framework of the hurricane, you know, it just really reinforces, folks, that you shouldn’t take anything for granted, particularly with the people in your life that you love. You should always try to stay in touch and don’t let any kind of momentary disagreement you had with people cause distance. It’s just silly because anything can happen at any time that changes everything. He’s one of these people that you wish everybody could meet him and get to know him. He was that charismatic and welcoming and very confident — love hanging around confident people. And he was that. He loved L.J. He often said, “You know, I decided there’s nobody in the world I’d rather talk to than her. So excuse me for not playing golf today.” Okay, that’s cool. So Don Ohlmeyer is 72 years old, same age that my mother and father both passed away.